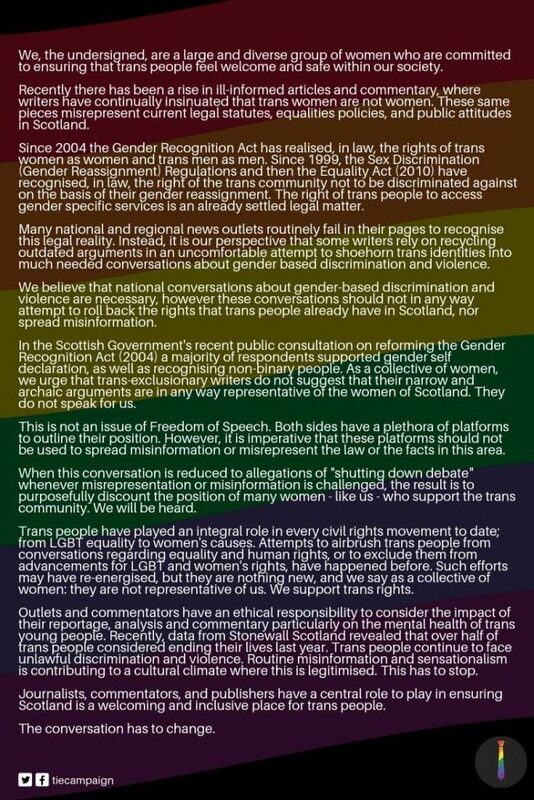 This is what the @tiecampaign letter was addressing. The tone and nature of this stuff is very distressing, and completely unnecessary. …Women supporting the trans community should not have to face malicious misrepresentation simply for speaking out. I hope others will join us and put their names to the @tiecampaign letter – this stuff is harmful. Once again there are very strong parallels between anti-choice activists, far-right figureheads and anti-trans activists: they’re all very well behaved on TV, but on social media the mask quickly slips.